Wags to Whiskers Pet care is an established business with a friendly, personal approach. I offer reliable pet care in Coxhoe, County Durham and the surrounding villages including Bowburn, Old Quarrington and Shincliffe. Do you worry that your dog spends too much time on its own? 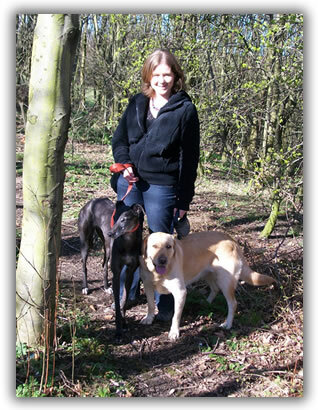 Wags to Whiskers Pet care provides a flexible daily or occasional dog walking service that is tailored to your needs. Wags to Whiskers Pet Care can also provide home visits for dogs, cats and small pets. I have enabled families to holiday with the peace of mind that their rabbit, chickens, horses and even lambs have been cared for. If your schedule changes and you can't be around, let Wags to Whiskers Pet Care provide reliable, trustworthy personal care for your pets in the same way that you do.